This piece first appeared in The Australian on 17 October 2018. The medical research sector is reaching its most crucial moment in decades. If we continue in one direction we will create thousands of new high-quality jobs and enhance our capacity to attract global talent as well as our ability to find cures for terrible chronic diseases that cause pain and suffering. If we continue in the other ­direction, we risk stagnation and becoming a former leading medical research nation, less able to tackle grand disease challenges, and of keeping a lid on growing healthcare costs. This is not hyperbole; we are talking about $11 billion, the other half of the Medical Research ­Future Fund first announced in 2013, and set to be fully funded at $20bn by 2022. This is a new sovereign wealth fund that will double the government’s annual investment in medical research. Whether we realise this ­vision is likely to become apparent in the coming months. Already the MRFF is funding new clinical trials into rare diseases, where historically patients have missed out because there is no large commercial market for effective drugs. It funds new research into brain cancer, where previously there has been little improvement in survival rates. We have funding for mental health research, formerly underfunded given that one in five Australians aged 16 to 85 experience a mental illness in any year. It has already greatly enhanced our ability to commercialise research, enhancing future tax revenue. In other words, this has increased our ability as a country to look after our own health, and strengthen our economy. The budget papers show a commitment to fully fund the MRFF by 2022. Of course, we all know this isn’t guaranteed because as we start to get closer to the next federal election one thing is for sure — there is no shortage of other ideas on what Australia’s spending priorities should be. Alongside medical research there are many worthwhile uses for our federal spending. But for whoever is in ­office following the next election, medical research needs to remain a top priority. We are all aware of the far-reaching effects that disease and illness can have on people and their families. These are people who just want to get on with their lives and be given a fair go but have been cruelly held back by an intractable disease or a condition for which there is no cure. This should provide enough to secure funding, but is sadly not the case. Now, as a game changer, a new report from KPMG, Economic Impact of Medical Research in Australia, has shown that government investment in medical research is one of the best economic investments any government can make. Not only does this investment improve lives and relieve suffering, it is delivering astonishing economic gains for the nation. The report shows that for every $1 invested in medical research, $3.90 of economic gains are realised throughout the Australian economy. This is an extraordinary return on investment, significantly higher than the level needed to secure government funding for many other initiatives. For the first time, this report tracks the economic benefits delivered by our investment. These benefits are substantial and ­accrue right across the health system and beyond into the broader economy. It includes reduced welfare payments and higher tax revenue as people get back to work more quickly as a result of new treatments. It finds reduced healthcare expenditure, as medical research has helped improve diagnostics, leading to more effective and more timely treatment. It also reports on creating new high-quality jobs, with 32,000 employed in the medical research sector, and a further 78,000 in the downstream medical technologies and pharmaceuticals ­sector. While I know there are many worthy causes that would benefit from government investment, I am convinced that medical research is one of the best investments a government can make. Given these tremendous economic benefits, as well as the transformative effect medical research can have on livelihoods, I hope we see medical research continue to receive the strong support from government that the community expects. 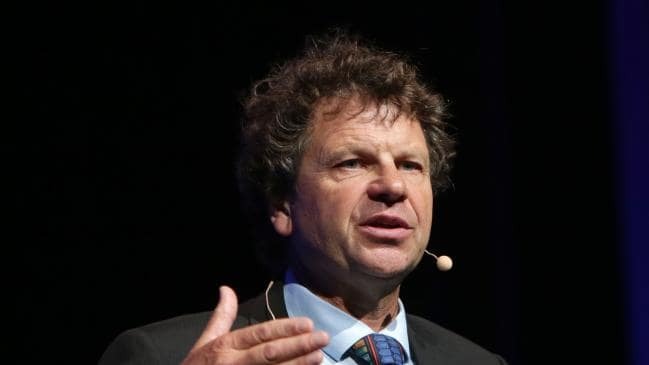 Simon McKeon is chancellor of Monash University and was chairman of the federal government’s Strategic Review of Health and Medical Research.